MONTREAL - Via Rail has awarded its second multimillion-dollar contract in a week to renovate train cars that date back to the 1950s. The passenger railway awarded a $46-million contract to rolling stock repair and refurbishment company Cad Railway Industries to upgrade 25 train cars for use on the long-haul train, the Canadian. The stainless steel cars will be completely refurbished and transformed to better meet passenger needs and to make the equipment more reliable. The upgrades will extend their useful life by a few decades, Via said in a news release. The work will be completed by 100 Cad employees at the company's Montreal facilities. Last week, Bombardier Transportation was awarded a $54-million contract to renovate 17 train cars at its facility in La Pocatiere, Que. The refurbishments are scheduled to be completed in 2020. Via also has 33 other cars currently under renovation. 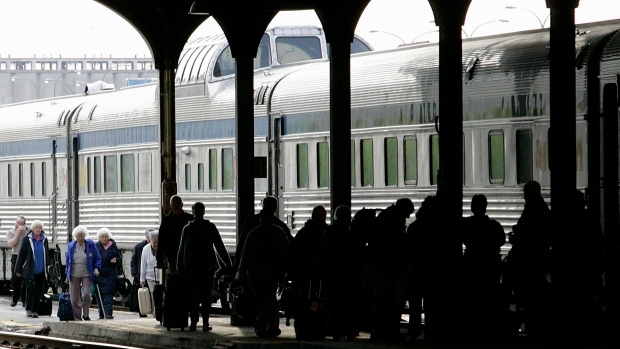 The renovations are part of Via's transformation plan, which also includes acquiring new railway cars for the busy Quebec City to Windsor corridor. Funding was approved by the federal government in two budgets.